Always wanted to prepare your own income tax return? Is your household income $66,000 or less? Do you have an active e-mail account? You can prepare your own Federal and State Tax Returns for FREE at your convenience from anywhere. You can do it! No waiting in line or for an appointment! Once you login, you should see the MyFreeTaxes logo in the top left corner throughout the filing process to receive free filing. 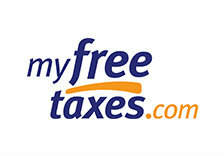 If you do not see the MyFree Taxes logo in the top left hand corner after login, please exit. Go back to www.myfreetaxes.com, click file for free, and create a new account. Please use the Help feature at www.hrblock.com to answer any questions.